Wouldn’t it be nice to come home on a cold and rainy day and walk across a warm floor? Or even better stretch out on a heated floor after a long day at work. 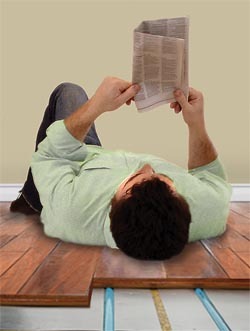 Generally speaking, radiant floor heating is an energy efficient way to heat a space. This type of heat is a good alternative for people with allergies. There are no drafts, ducts, grills and registers; the floor heater is also invisible. 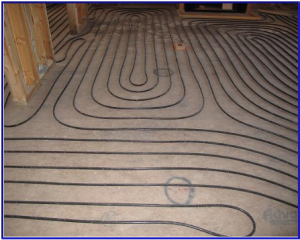 Radiant heat has tubes that circulate hot water or electrical heating elements and are usually installed in the concrete slab when it’s poured. 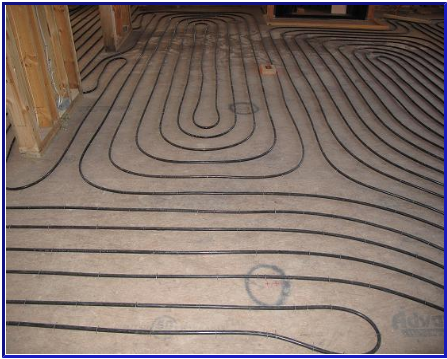 Heat tubing can also be installed within a plywood underlayment system over an existing concrete slab. 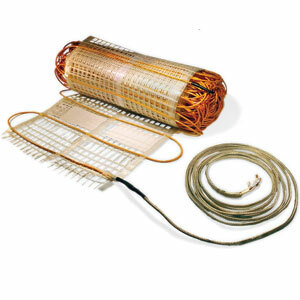 Alternatively ultra-thin electric heating mats are available and can be installed in a thin-set cement of gypsum overlays. Keep in mind that floors vary in thickness and resistance to heat transfer, called “R-value”, so it is important to consider what kind of floors will be installed. 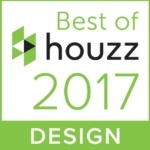 Floor materials expand and contract when using a radiant heat system and movement in material will occur. If you have a tile floor for example, a crack isolation membrane for tiles should be used to reduce the tile movement. 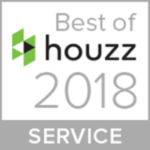 Make sure you hire a seasoned contractor who is experienced using this technology to ensure a comfortable heating system for many years to come.